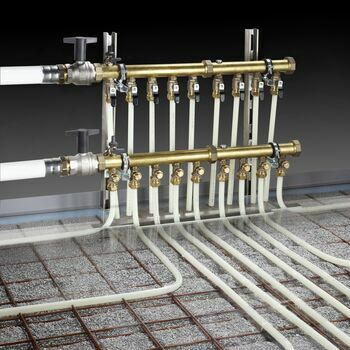 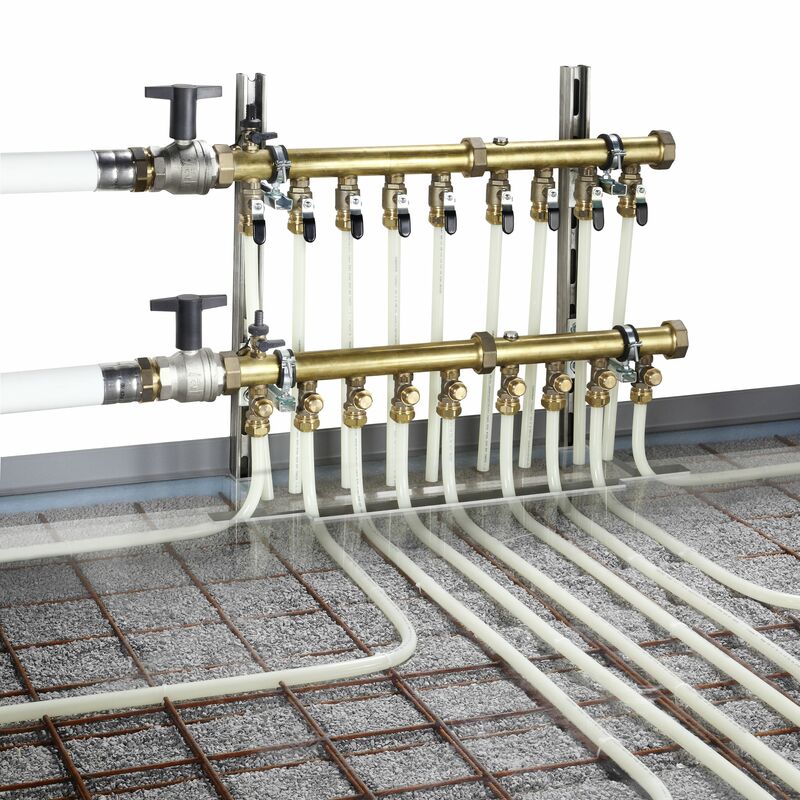 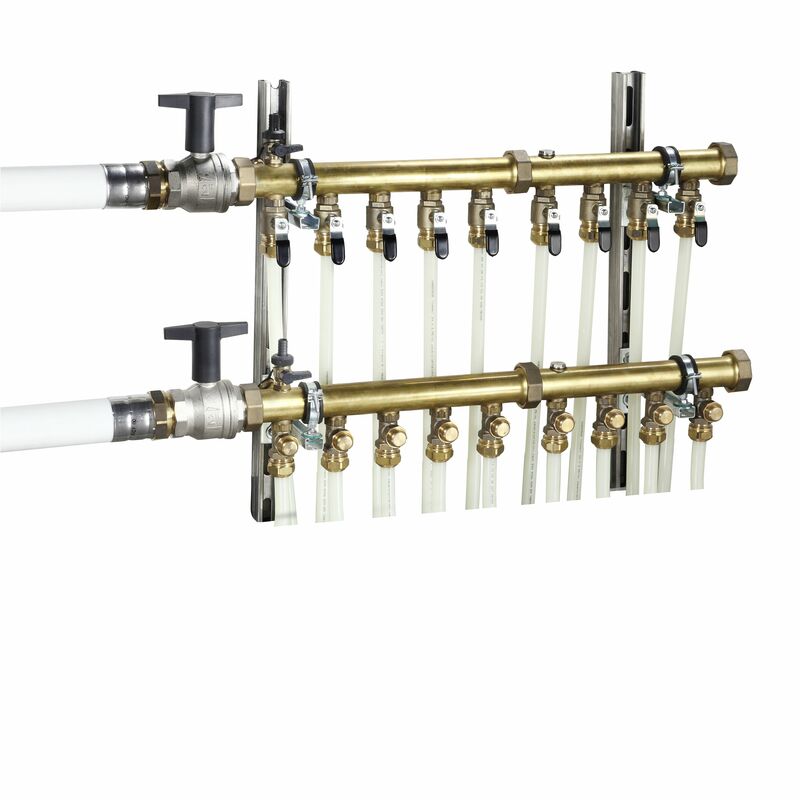 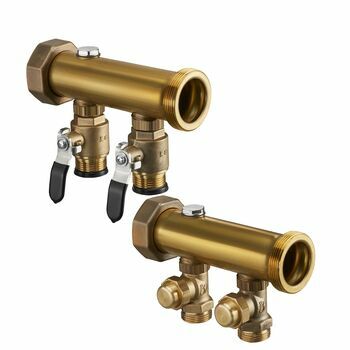 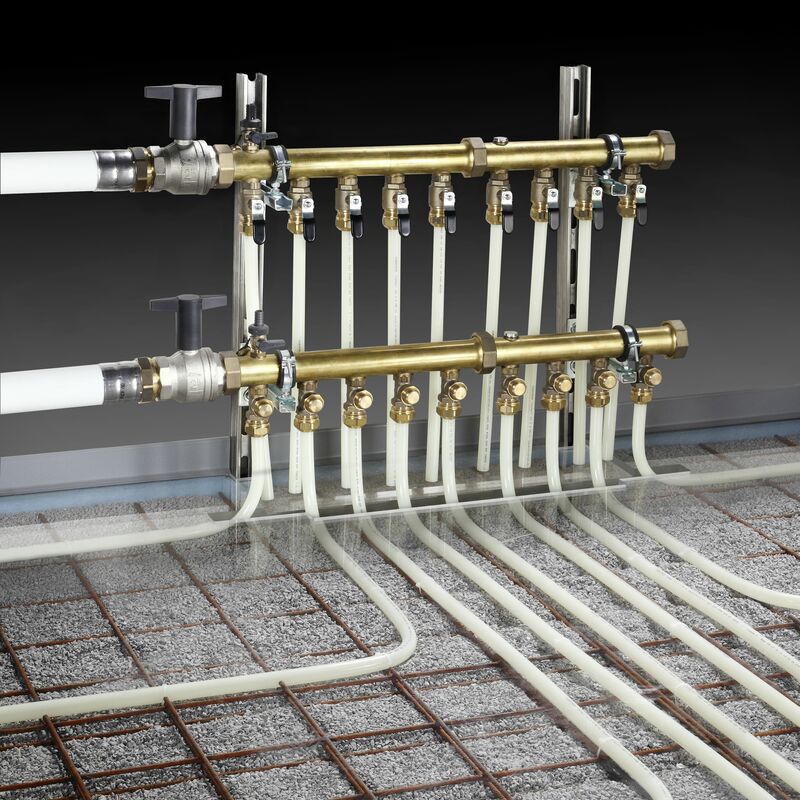 for industrial surface heating and cooling systems, with ball valve in the flow distributor and regulating valves in the return collector, pre-assembled for 2 circuits. 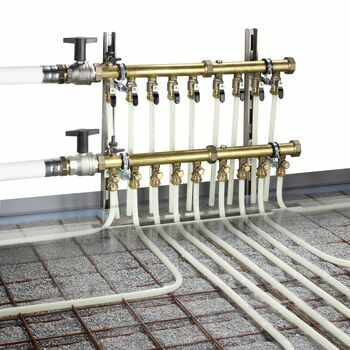 Extension to max. 20 circuit by connecting the distributor modules. Flow collector made of brass with integrated ball valves, with G 1 male threaded connection fo Oventrop compression with collar nut, G ½ blind plug for subsequent connection of an "Optiflex" ball valve. 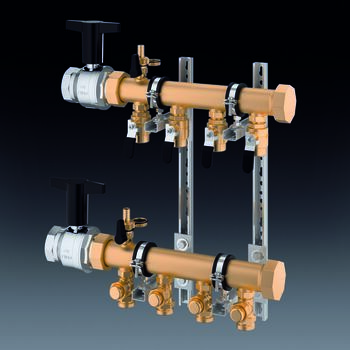 Flow distributor one port G 2 collar nut for the direct connection of a flat sealing ball valve or an additional flow distributor module, one port G 2 male thread for mounting a cap or for extension by connecing an additional flow distributor module. 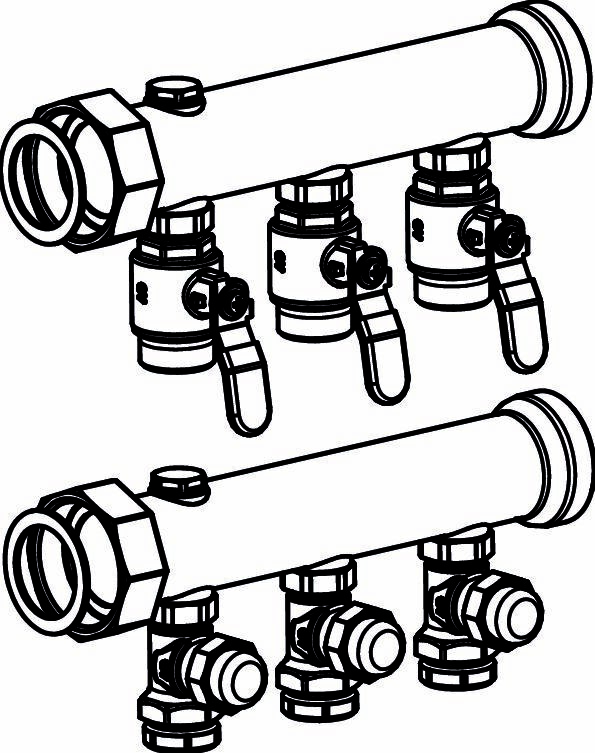 Return collector made of brass with integrated regulating valves, with G 1 male threaded connection for Oventrop compression fittings with collar nut, G ½ blind plug for subsequent connection of an "Optiflex" ball valve. 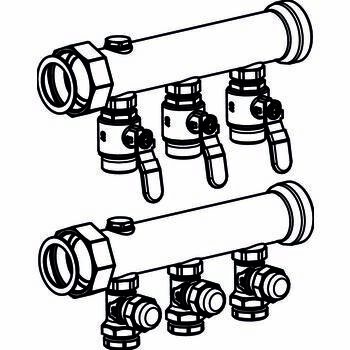 Flow distributor one port G 2 collar nut for the direct connection of a flat sealing ball valve or an additional return distributor module, one port G 2 male thread for mounting a cap or for extension by connecing an additional return distributor module.